After the release of MacBook Pro lineup in 2018, reports of a cheaper 13-inch Apple Mac Book have started pouring in. As per a report, the company might release the new laptops at an event in September along with its 2018 iPhone lineup. The company is also said to launch new iPads and announce the availability of its new Air Power wireless charger at the event. In line with previous rumors, the new report states that Apple will equip the upcoming laptops with Intel’s 14nm Kaby Lake processors instead of the newer 10nm processors Intel Canon Lake chips. The laptop is said to be priced at $1,200 (Rs 83,000 approx). 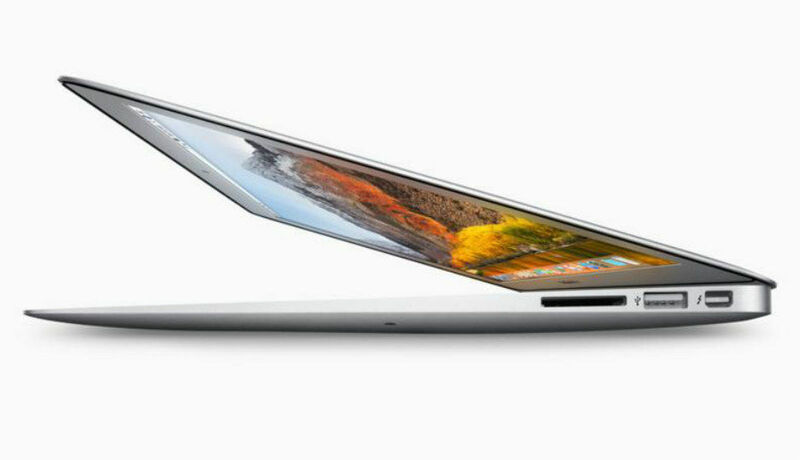 The report states that “The 13-inch inexpensive MacBook was originally set to be released in the fourth quarter of 2017, but has been delayed due to Intel issues with its 10nm manufacturing process. With Intel deciding to wait until the second half of 2019 to begin manufacturing 10nm CPU’s. Apple has switched the Mac Book design to adopt processors based on improved 14nm Kaby Lake architecture.” Around eight million units of the new Mac Book are estimated to be shipped in 2018. Regarding three new iPhone, the report reiterates the ongoing rumors that Apple might launch a less expensive 6.1-inch LCD model and two more iPhone, one with a 5.8-inch OLED display and another one with a 6.5-inch OLED display. There is no additional information regarding the price of the upcoming smartphones. However, the wireless charger that the company showcased at the iPhone X launch will reportedly be priced between $161-$193 (Rs 11,500 to Rs 13,500 approx). Going by the report, Apple might also unveil refreshed iPads at the event and it could be launched in four new models, two of which are said to be iPad Pro tablets with different screen size, an entry-level iPad and one model of the iPad Mini 4. In Q4 2018, the company is going to announce four new iPads. Of the four, there could be two iPad Pro tablets, one with a 12.9-inch display and another one with an 11-inch screen. The latter is said to replace the current 10.5-inch iPad Pro. There will also reportedly be an entry-level 9.7-inch iPad and a smaller 7.9-inch iPad Mini 4. As per the report, the new iPad Pro models will support fast charging, thanks to an 18W power adapter and a USB Type-C interface.